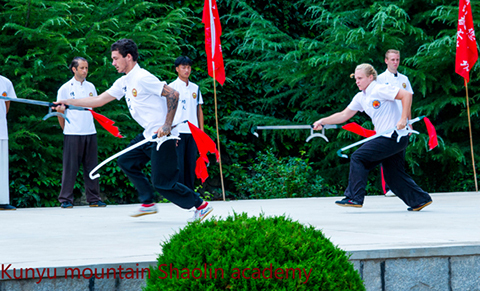 ﻿ We offer free Chinese culture classes in Kunyu mountain shaolin martial arts academy. 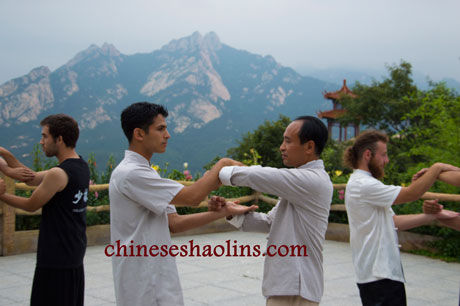 *We offer free optional traditional Chinese cultural lessons here in the evening from Monday to Friday,after the students finished the afternoon training,you can choose to attend according to your interest,they are : Chinese Mandarin (Standard Chinese), Taoism, Buddhism, Calligraphy, acupuncture,massage,that taught by professional Chinese teachers. Besides,we added a professional acupuncture and massage master here. Chinese Mandarin Class: From Monday to Wednesday in the evening.We teach Chinese Mandarin with reading, speaking,writing etc. 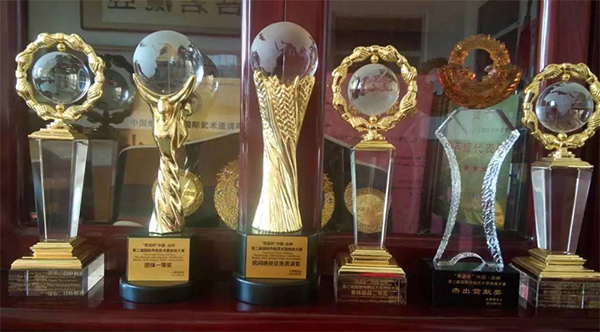 If you want more extra Chinese Mandarin classes,we can help you to make it. 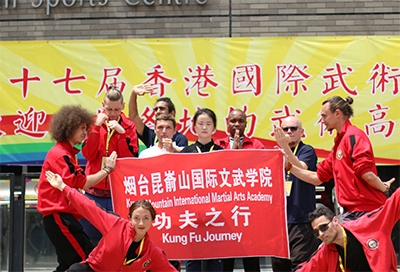 Good news:We cooperated with Foreign Language school of Yantai university.Regarding Mandarin course ,once you finished the martial arts training here, you are able to attend Normal Full time Chinese course in Yantai university through academy if you want focus on study. 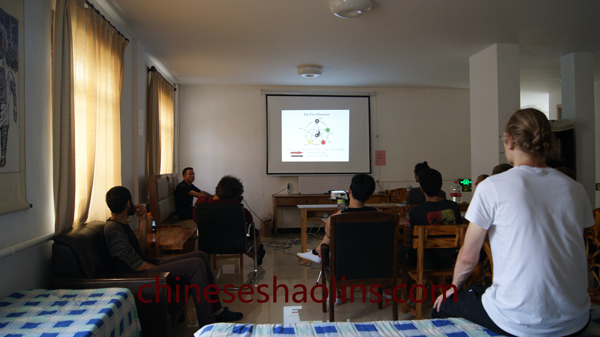 Students learning Chinese mandarin with Chinese teacher in the evening cultural class. 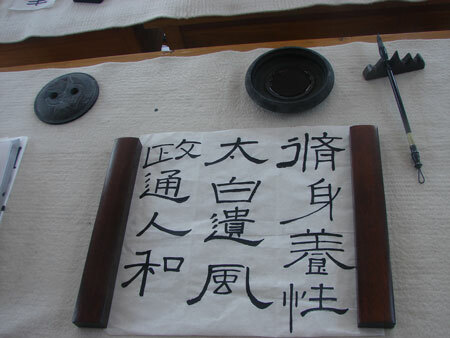 The calligraphy written by teacher. 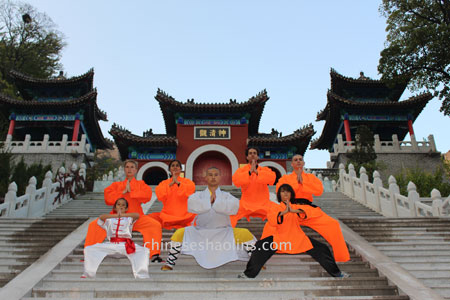 Female Taoism Priest explaining the culture of Taoism in the Temple (Shen Qing Guan)next to academy. 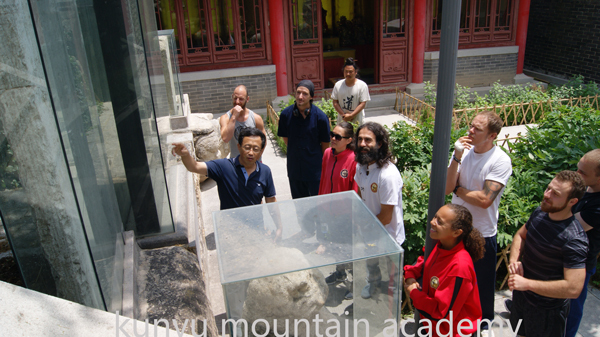 Taoism class Teacher Liu teaching the culture of historic site. 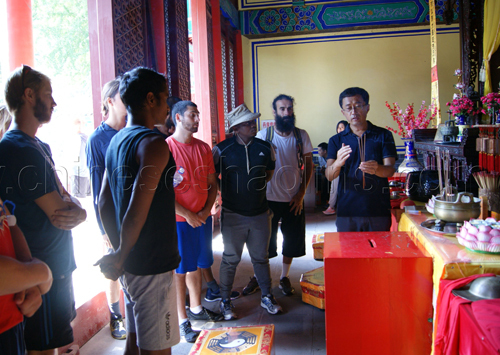 Teacher showing the culture of going temple to pray. Students learning Buddhism with master. We have professional massage teacher here. 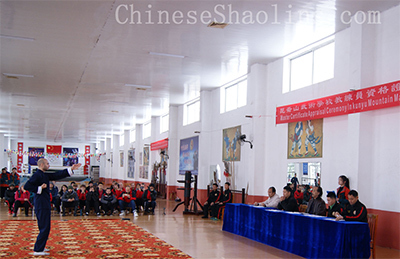 The teacher who are highly skilled at acupuncture and massage,and inherit them .We have professional ancient Massage master Sui who is inheritor of ancient massage skills.Massage and acupuncture is old traditional Chinese culture and can cure some disease. Cupping Class:that will be opened soon in 2019. 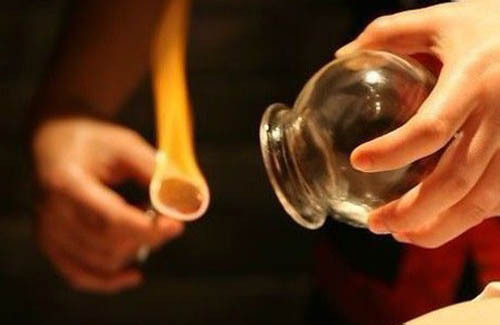 There are very long history for traditional Chinese Cupping,that is in cans as a tool, and to use of fire or gas method to generate negative pressure in order to adsorb the skin surface closely,that resulting in local blood stasis to dredge the body points, that can invigorate the circulation of blood, relieve fatigue and heal wind and cold therapy. 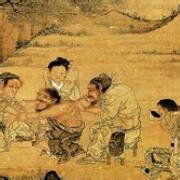 As early as in the book in the Western Han Dynasty silk have records on the "angle method", the angle method is similar to later generations of cupping therapy. Tea ceremony(Sadao) Class:that will be opened soon in 2019. 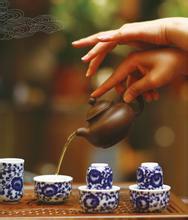 China is rich and famous in different tea,such as Pu'er Tea,Black Tea,Red Tea,Green Tea etc.Under their important culture,Tea ceremony also appeared in the preparing and drinking of tea,For example , China's " Kungfu Tea" is one kind of Sadao with its procedures.In this class,the students will experiences real Tea culture in the Tea room of academy. 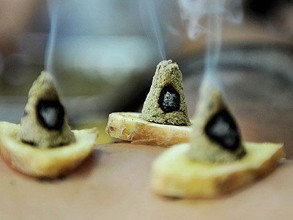 The moxibustion is an very ancient Chinese traditional physical therapy in Chinese medicine history,that moxa cone placed directly on the point and ignited is called direct moxibustion,it also have other different kinds way of moxibustion. The effect of moxibustion on anti - movement tiredness work well and can stimulate acupoints include Qi ( vital energy )of organs and meridians the body surface to reach cure some disease and keep health. 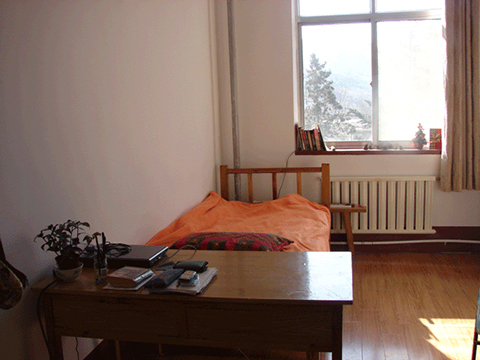 Click here to listen the song played with Guqin. 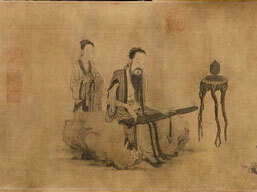 Guqin, also called Yao Qin,Yu Qin, there are at least three thousand years of history for that. 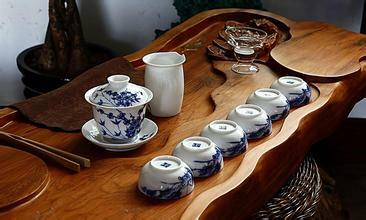 In the The ancient records ,GuQinwas invent by emperor.Guqin culture always accompany with the long history of China. Chinese Guqin culture is broad and profound with sounds of wide range, deep tone, lingering and distant. 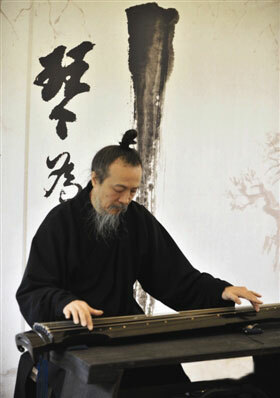 Guqin is in the status of the most noble of musical instruments according to Chinese history.